Jasper Johns, Savarin Suite: Savarin 5, 1978. Lithograph. 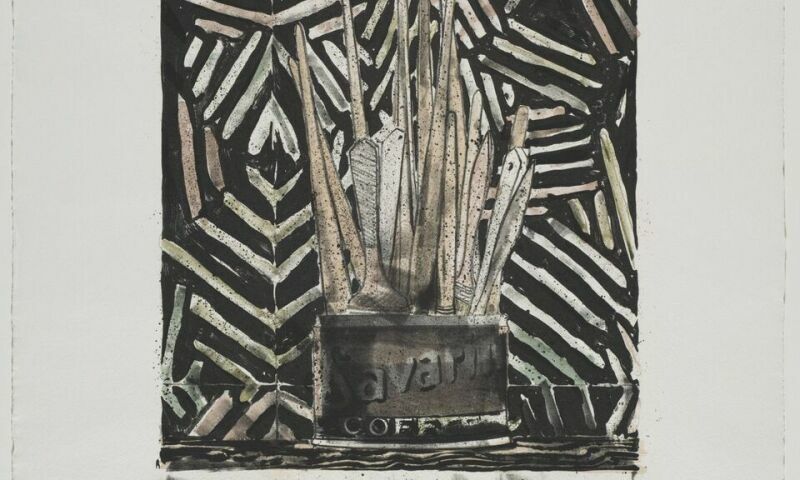 The Cleveland Museum of Art, Gift of the Print Club of Cleveland, 1983.219.5.© Jasper Johns and ULAE/Licensed by VAGA, New York, NY. Organized in celebration of the centennial anniversary of the Print Club of Cleveland, this exhibition presents a selection of significant prints generously donated to the museum by the club over the last 100 years. Since its founding in 1919, the Print Club—the first museum affiliate group in the United States—has supported the Cleveland Museum of Art through its twofold mission to enrich the institution’s world-class print collection and to promote interest in the history of printmaking. A Lasting Impression, which includes more than 75 gifts by masters Albrecht Dürer, Rembrandt van Rijn, Francisco de Goya, Edgar Degas, Käthe Kollwitz, Pablo Picasso, and Jasper Johns, thematically traces the history of European printmaking over the course of six centuries through subjects ranging from landscape to abstraction and techniques such as woodcut, etching, and screenprint. The depth and quality of these works underscore the Print Club’s transformative effect on the Cleveland Museum of Art’s internationally recognized print collection. In honor of their centennial, the club has published, in partnership with the CMA, The Print Club of Cleveland: 100 Years, 1919–2019, which features an illustrated selection of notable gifts over the past several decades.